ERP designed for Construction company reduces the complexity which usually arises in real estate construction projects. The construction ERP software streamlines the project management, tender-Bid, job cost, accounting, finance and Human Resources etc. to improves business performance and simplify management of complex construction operations. The software solution is specifically designed to streamline the accounting processes to give more time to analyze information, efficiently manage the huge amount of data generated throughout the construction project life cycle alongwith as organizes construction administration procedure. 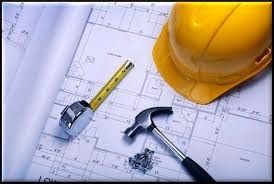 The complex construction projects need effective structure and sophisticated management. With the help of the construction ERP software developed by ACG Infotech, you can streamline all your business processes, you are really organizing your functions and creating your own custom construction management solution. You need not to sign into multiple systems, and multi-task from one computer to another. We deliver a software product that meets all of your business function requirements in Real Estate sector. 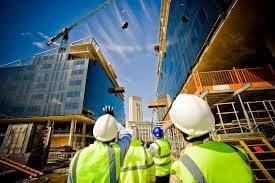 Our Construction ERP modules – Purchase, Architecture, Sales, Engineering, Tools & Plant, Financial Management, Tender-Bid, Admin, HR & Payroll and Accounts - will surely allow project managers deliver various construction projects to their customers meeting the highest quality, standard, budget and safety. ERP software for construction companies is very powerful product that can capture and monitor all functions right from pre-construction phase to post construction phase. Post is very informative and all the points are very easy to understand. ERP software is must needed for our business. Eresource provides process manufacturing solution that covers complete range of services ranging from supply of raw material, production, manufacturing and packing. Process Manufacturing ERP Software helps the Decision makers to manage the business with a click of their mouse's button.